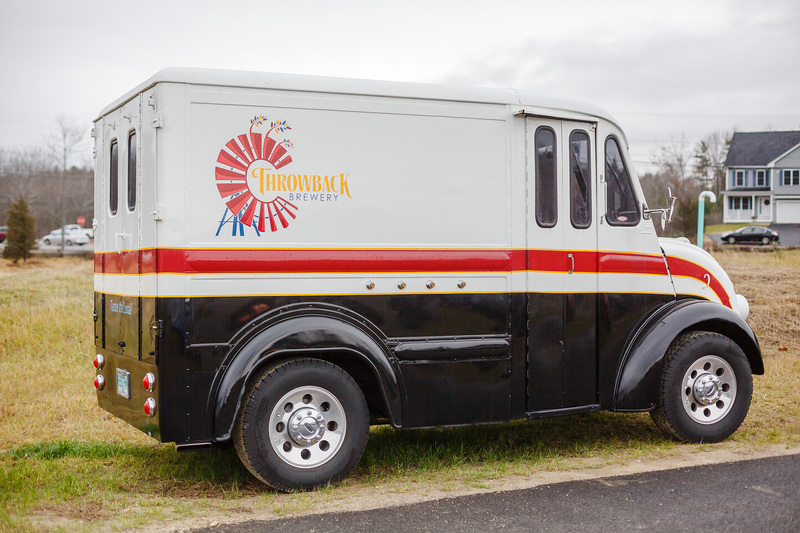 In 2012, we bought a restored 1963 Divco milk truck. It was almost perfect as is – super retro look, impeccable exterior, coolest front end on a truck that we have seen! Even so, we thought it needed just a few tweaks — namely, our logo, a new color scheme, and four beer taps! Fast forward a few years, and the truck has been at many weddings, birthday parties, backyard bbqs, and other private events. Interested in renting the truck? Call (603-379-2317) or email us to ask about availability. Pick which of our beers you would like on tap. The truck has four taps, so you can pick up to four varieties. If you need help estimating how many kegs to get, we can send you a spreadsheet that simply & easily walks you through a few questions and then returns an estimate for how many kegs you would need for your party. On the day of your event, we will deliver the truck to your location, set up the beer, and make sure everything is pouring smoothly. We’ll then leave you to enjoy the truck and your party! You may opt to bring in a bartender for your event, or, we often find that folks like to serve themselves. After your event – typically the next day- we will then pick the truck up. So if you are holding a private event and are looking to impress and delight your guests with delicious beer and a cool beer truck, then please give us a call or shoot us an email. Cheers! Note: at the moment, we are only supporting the seacoast of NH, surrounding towns, and partway out RT 101 (all within NH only). Please let us know where your party is, and we can tell you if it is within range.